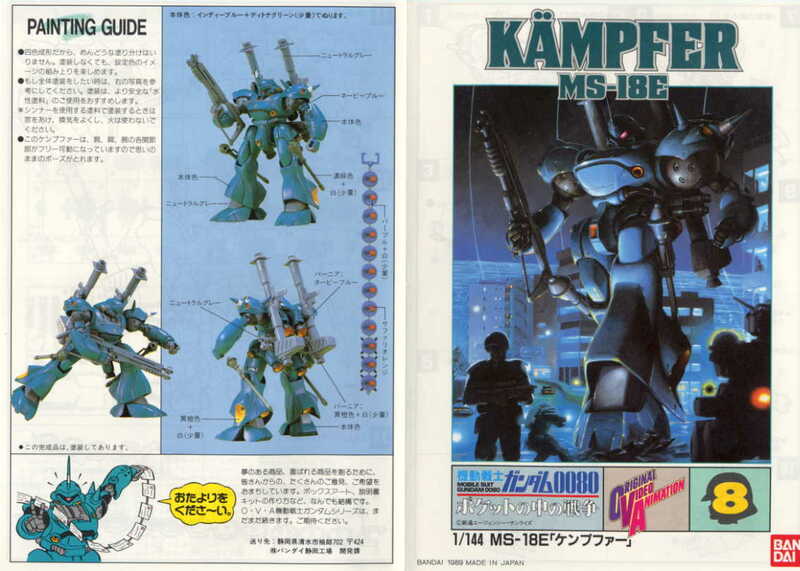 This is the Kampfer appeared in the OVA War in Pocket. Fully poseable. Come with a full set of weapons including rockets, shot guns, bazookas and a chain bomber. Completed model is about 7 inches in height.